It seems the weather has decided to schedule itself perfectly in time with Part 3 of our Flower Garden CAL blanket. 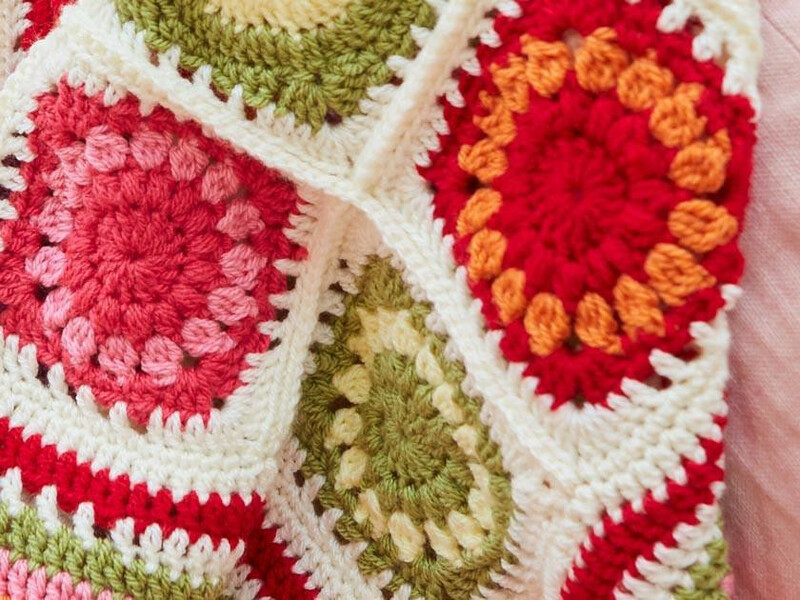 This week it's the sunburst granny square which is simply bursting with sunny happy vibes! Download the pattern for Part 3 here. If you missed the previous instalments, click here for Part 1 and Part 2. After scouring through lots of your lovely progress photos this week, we've noticed that a number of you are favouring the production line way of working. Bev shared a picture of her circles in perfectly arranged piles. This method means that you can learn the pattern off-by-heart through repetition. We love the cheeky crochet corner in this photo from Michele. This is not the only way to work, however. We're firm believers in working in any way that works for you. Vanessa has crocheted her squares up in her own sequence. And Catherine's photo is looking close to the finished product already. But don't forget there's still one instalment to go after this one! Stay tuned for the final instalment which will be released on Friday 2 June. Now let's get back to the present. This week's square uses a treble puff stitch to build up a new take on a classic granny square. Work an initial round of treble stitches as stated. We've used a contrast shade to work the first round of puff stitches so its easier to see but remember to follow the colours as stated in your pattern. Wrap the yarn round your hook. Insert your hook into the designated stitch. Wrap the yarn round hook. Bring loop through to the front, making three loops on your hook. Insert needle back into the same stitch. Yarn round hook and pull through to the front again. There are now 5 loops on your hook. Insert hook back into the same stitch yet again and pull through. You have now made 7 loops on your hook. Yarn round hook and bring through all 7 loops on hook. You have now worked one treble puff stitch. Work one chain before starting your next one. Continue to work treble puff stitches all around the circle and finish with a slip stitch in the top of the first puff.